Aside from the long list of incredible, must-have, perfect for your next event services that we offer, we also have a long list of other creative and eye catching ways to elevate your event. And these items aren't our typical lighting, photo booth, Instagram suggestions either.. Even though those are great! Instead these are exclusive extra's that will seriously wow your guests and keep people talking long after it's over about how much fun your event was! Perfect for cocktail hour + wedding receptions, corporate picnics, celebrations, birthday parties, team building, on-boarding ice breakers, great for day and night events.. I think you get the picture. 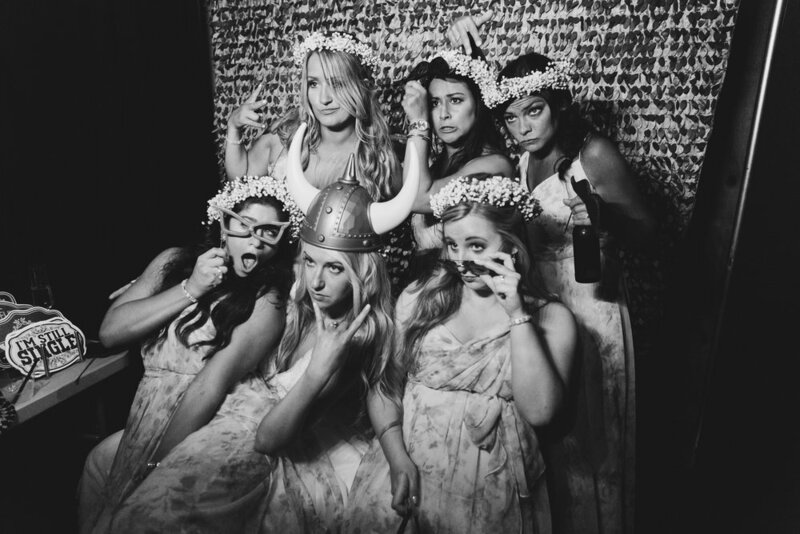 These are some of our most requested, hottest services for our clients upcoming events and weddings, and we want you to get in on the hype too! These are all limited quantity rental items and exclusive, event enhancing services so be sure to contact us today to secure your date + receive à la carte and bundle pricing..
Our casino parties have quickly become one of our most requested types of events, but not only are we booking these Vegas themed evenings for private parties and corporate soirées, we're also booking them for weddings. You heard right, I said weddings. Now before you start to get really confused and wonder why would anyone ever include casino anything on their wedding day, let me explain. For most guys on the day of the wedding, they don't have to spend nearly as much time getting ready as the ladies. In fact, for most of them, they try to spend as little time in their tux as possible right up until the ceremony. They tend to sit around, relax, drink beer, watch sports.. you know typical guy things. So with all of that free time that the men have, they need something to entertain them and that's where we come in. We have a large variety of easy to set-up games that will keep the Groom and his men entertained and having fun all day long! Poker, Blackjack, Roulette.. you name it, we have it. This is something that not only gives the guys something to do, but it also is something entertaining that keeps them on-site during the day, which lessens the risk of being late or not ready on time. Before you skip over this section and start thinking I don't need lawn games at my event, think again. Lawn games are one of the hottest event trends for 2017 and Snyder Entertainment just dove head first into this one! We can provide life size versions of some of your favorite games like Connect 4 and Jenga, and we now also offer more traditional lawn games like corn hole boards. These are perfect for cocktail hours, birthday parties, corporate picnics, graduation parties, block parties, and beyond. Including various entertainment elements during cocktail hour has been a pretty consistent wedding trend that we've been seeing a lot of and getting a lot of requests for. And don't stop with cocktail hour! It's important to remember that not all of your guests at your wedding reception are going to be able to be on their feet dancing all night, so why not give them another form of entertainment? Games are a perfect solution for any age! Don't forget about all of other services that are great for all of your events and all of your guests, no matter the age! Some recent favorites included our casino tables for quick card games, flat screen TV's for video games, arcade games such as single or double basketball, air hockey, Pacman, and a variety of vintage arcade games. Contact us for a full list of games, services, and pricing! If you went to a party, a wedding, and/or a corporate event in the past year you probably saw a large group of people huddled in front of a big box, holding funny mustaches, hats, feather boa's, and signs, counting down "3...2...1!" And don't just blame it on the open-bar, these guests are really having fun. Let's face it, you're going to have a great party, you're going to have an amazing DJ (especially if you hire one from Snyder Entertainment) whose going to be playing the best, most popular, dance-worthy songs all night long, BUT you're going to have a handful of guests who just aren't into dancing. And if you don't have something entertaining going on for your non-dancing guests to indulge in besides the dessert table, then you're going to have some guests who will probably leave out early. As someone who is married to a great guy who doesn't always enjoy getting his groove on, it can be frustrating to leave early simply because there isn't anything for him to "do." That's where Snyder Entertainment can solve this boredom problem, the dilemma ends, and the struggle isn't real anymore; we can provide you with a Photo-booth. Whether we're talking weddings, corporate events, birthdays, graduation parties- we can always find a good reason to plan a celebration. And if in doubt when planning the party to end all parties just include party enhancers. Fun and perpetually on trend, party enhancers keep guests excited and will elevate your event. Have you thought about including a custom Snapchat Geofilter or an InstaMask? Or maybe lighting up the night with glow sticks, including the trendy large balloons for pictures and decor, or personalizing your photo booth template? Snyder Entertainment offers a ton of different party enhancers individually and in package deals. 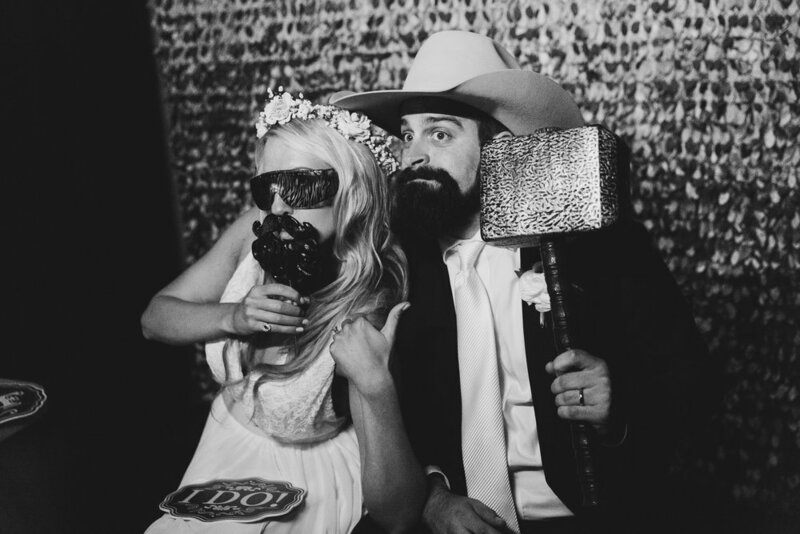 Our list includes customized sunglasses, glow sticks, novelty jewelry, customized chalkboards, confetti, balloons, frames for your guests photo booth pictures, and so much more. We can customize any of these to your specific event, or if you've already booked with us then we can add them on to your entertainment package easily. These items are must haves and double as fabulous guest favors! Contact us today to receive our full brochure! All of these options are great for more than just weddings and corporate events- we've been able to partner them with birthday celebrations of all ages, rehearsal dinners, wedding receptions, and when new businesses host their grand opening events. It's been proven to get guests excited all the while creating an inviting and energetic atmosphere for everyone to enjoy! Want to know about more of the services + solutions that our team offers? Do you want to get a quote for your upcoming event? Date availability and pricing will only be made available through contacting our event planning team today, and we can't wait to hear from you soon!